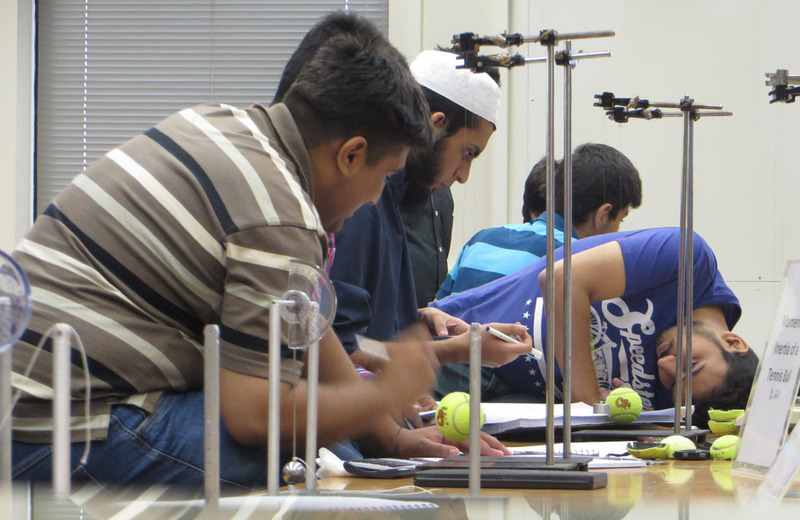 The dismal state of physics teaching in Pakistan and the region is no surprise. 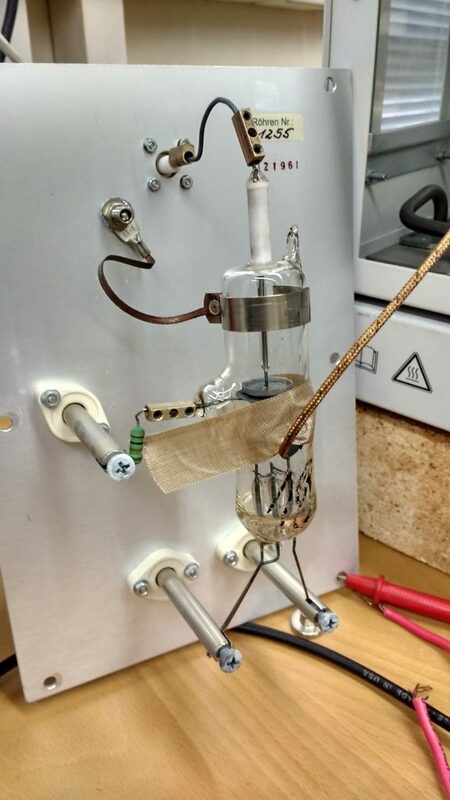 In particular, the sorry state of affairs in the teaching of experimental physics needs immediate attention. Laboratory instruction is a multi -faceted discipline that requires the combination of diverse skills and training. 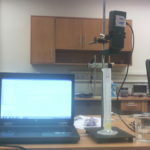 For example, laboratory activity entails a deep understanding of underlying foundations of physical principles, an appreciation of the historical progression of great experiments and the ideas they generate, an acute sense of observation, patience and meticulous logging of activity and foremost, the capability to understand modern scientific tools which include measurement equipment, measurement devices, sensors and transducers. To cap it, the experimental activity generates the need for statistical analysis and culminates in the form of accurate, technical writing and presentation of results. 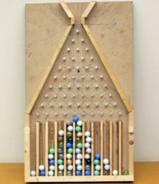 It is by virtue of this combination of skills that experiments are considered difficult, painstaking and the contemporary physics student, and no doubt most teachers, have little idea of the many nuances involved. 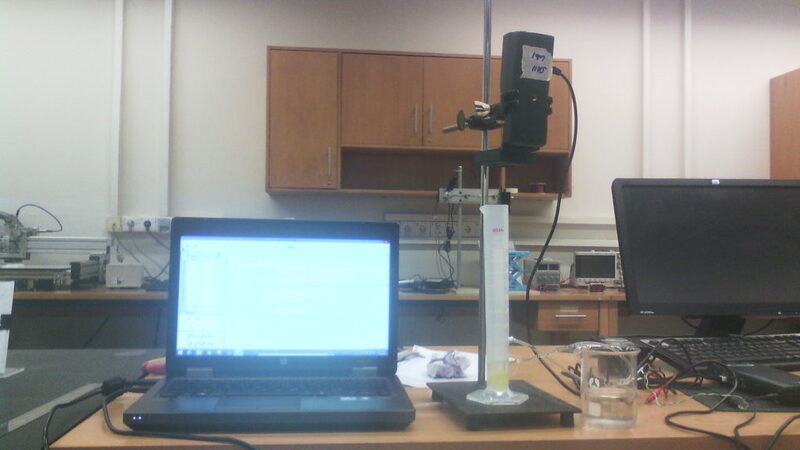 Consequently, experiments are considered boring. Teachers and Faculty delegate instruction to untrained demonstrators who are poorly motivated, assessment is haphazard, students are engrossed in unnecessary details that are not central to the science and as a result are repelled from experiments. 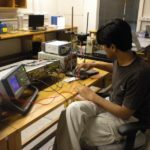 This lack of training, and absence of model laboratories, necessitated the establishment of world-class physics instructional laboratories at the Syed Babar Ali School of Science and Engineering (SSE). Starting from labs meant to cater SSE’s own students, the Physlab as it is called, has now grown into a full-fledged teaching, research, and development centre that harbors fine programs in laboratory instruction. 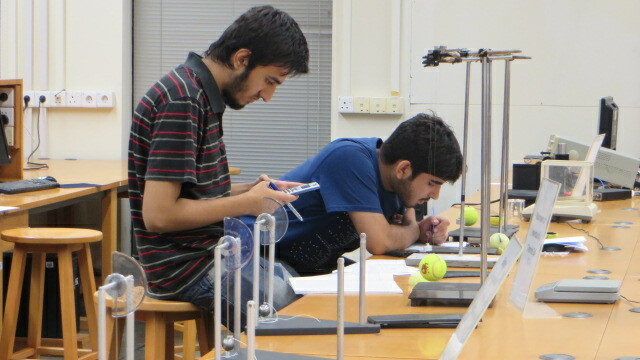 Ranging from formal courses to informal independent activities in experimental problem-solving, the laboratory is now framed in a suitable position for expansion and integration into a larger vision of dissemination of modern scientific knowledge. It is with this background, we propose the establishment of the Centre for Experimental Physics Education (CEPE)سیپیas a national and regional centre. Department of Physics & Astronomy Calvin College, US. & Teachspin Inc.
Department of Learning and Teaching Graduate School of Education, Rutgers University. Department of Physics Fudan University, China. Undergraduate Programs Professor University of Illinois at Urbana-Champaign, US. The following are the Objectives of CEPE. 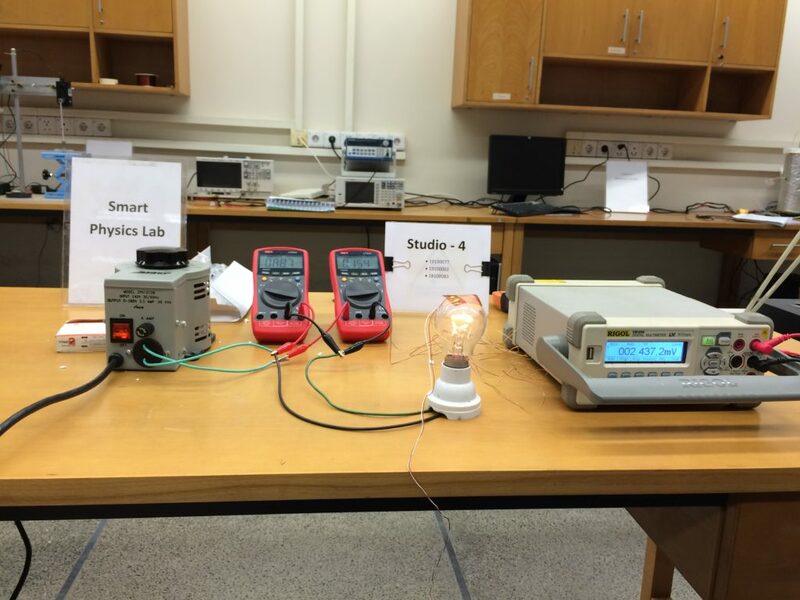 Preparing a platform for student-driven experimental research in physics. 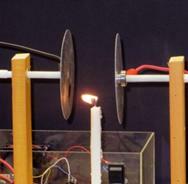 Indigenous development of experiments for the laboratory and demonstrations for the classroom. 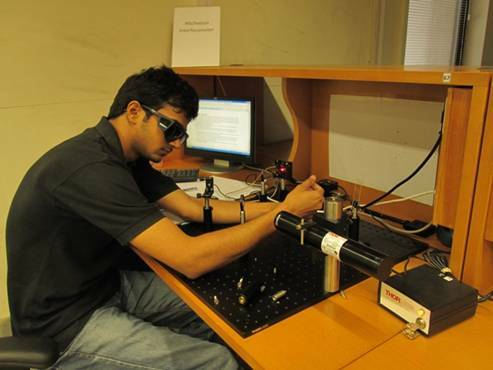 Training students and teachers in world class experimental physics through summer semester long laboratory courses, concentrated lab immersion programs, BS and Masters projects, independent activity programs and workshops. Sharing expertise, resources and training in physics education with sister institutions and organizations both nationally and internationally. Publication of high quality scientific literature, through monographs, books and scientific articles. Dissemination of expertise through blueprints of equipment and experiments that can be replicated throughout the country in particular, as well as internationally. The diagram shows the repertoire of activities the CEPE is poised to undertake to achieve its objectives. Here is a brief description of these proposed activities. presenting results with an acute sense of precision, significance, relevance. 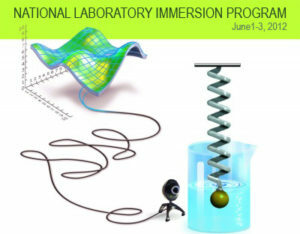 Three National Lab Immersion Programs have already been organized: Click here to see the details. Selected participants from the National Lab Immersion Program will be siphoned into the month-long introductory laboratory course. 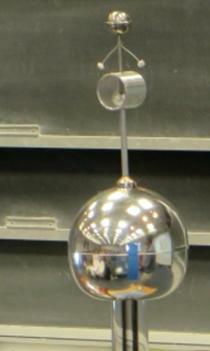 This is a series of extensive training on select experiments developed at the Physlab. 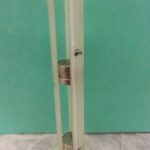 These experiments are meticulously designed to give students an exposure to the breadth of general physics. 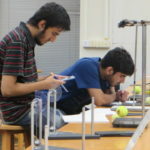 The experiments integrate ideas from different disciplines in physics and sample the rich variety of techniques, instruments, physical principles, plotting and analysis schemes, and the choice and selection of interpretations. 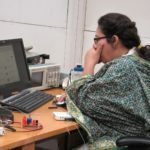 The laboratory course will also be interspersed by lectures on lab safety, workshop practice, and data processing, quantifying and analyzing uncertainties in experimental science. There will also be homeworks and exams. 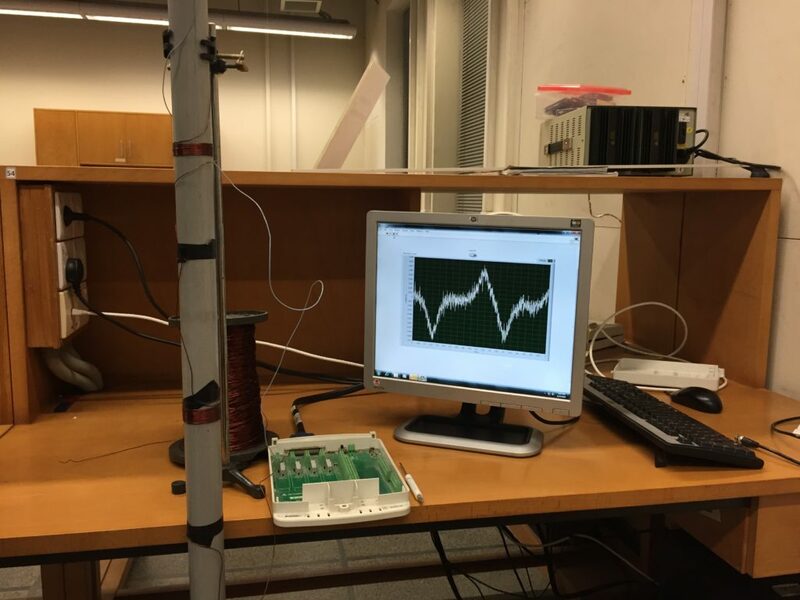 You can find the list of our experiments here. Alternatively, advanced students or students who have already gone through the introductory lab, would be offered positions in the Advanced Laboratory Course. 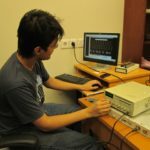 This course is aimed at a specialist level and utilizes state-of-the-art instruments, processes and methods in the modern experimental physics setting. 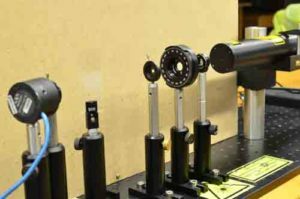 The course is, likewise, a month long activity of significant scientific work and selection criteria would be tougher than the introductory physics lab. (e) writing technical report using LaTeX. You can find list of our advanced experiments here. The projects will culminate in the form of a public exhibition. While working under the Studio, the participants will have full access to the lab’s facilities and they will be closely mentored by staff. 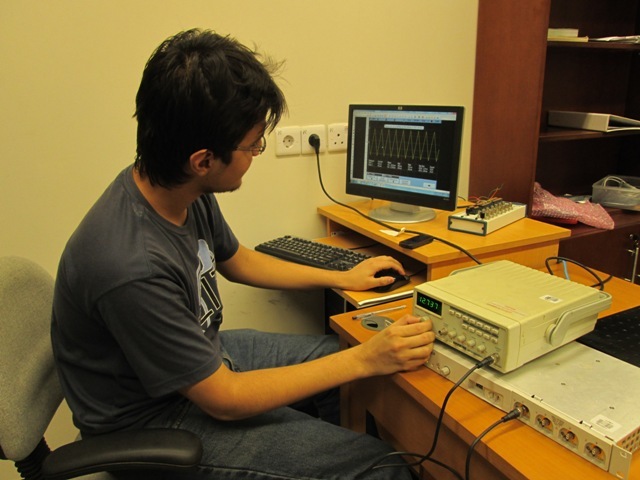 It is believed that the Studio, already being run at the Physlab, will become an innovative breeding ground of budding experimentalists and will help unleash their creativity, generally considered to be an alien trait for physicist students who could otherwise be good at analysis. 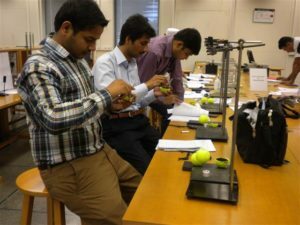 This is a one-week long interactive workshop meant for teachers and researchers who intend to make scientific equipment for their research or teaching. 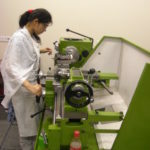 The participants will be hand-held through a series of practical training sessions such as (a) ‘story-boarding’ the equipment, (b) computer aided design and machining possibly involving turning, milling, fitting, plumbing, fastening operations and the use of a 3D printer and (c) finally testing, prototyping and documentation. The workshop will culminate in the form of a take-home project. 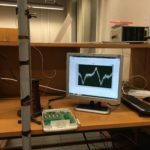 The project can continue as a year-long Masters thesis project. 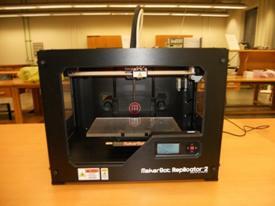 The 3D printer is the latest addition to the Physlab and is an important component of CEPE. 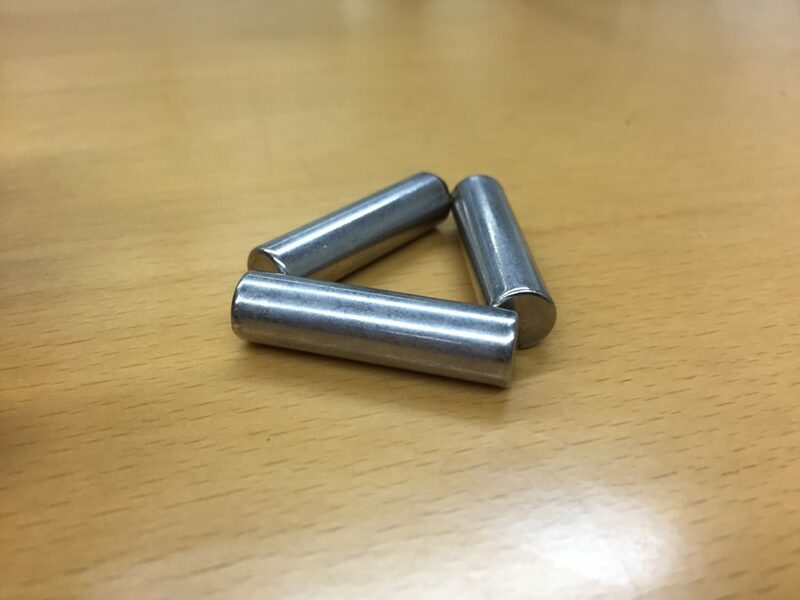 This addition considerably enhances the scientific capabilities of experimental programs, making possible the manufacturing of high precision mechanical components for scientific research and development. The printer is proving to be an invaluable tool in which the only limitation is imagination. 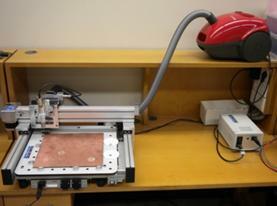 In the proposed workshop, participants will be able to make gadgets on this printer.Additionally, students will also be exposed to other relevant techniques such as (a) vacuum, (b) selection of appropriate materials, (c) safety and (d) circuit board design and manufacturing (on a CNC routing machine available with the Physlab). 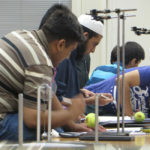 The staff at the CEPE would be allowed to take Masters thesis projects and summer researchers from around the country. These will be year-long projects for Masters (MS/MPhil) students or season-long summer researchers registered in their respective institutions. 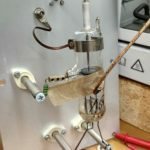 These projects can be extensions of the “how to build scientific equipment” endeavor or stand-alone projects in the design and development of new scientific apparatus and experiments. 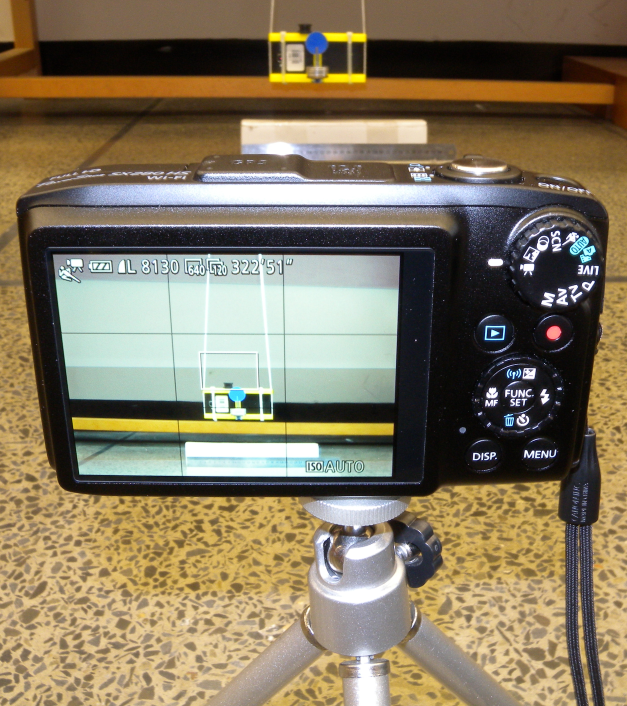 These experiments will demonstrate innovative ideas in the investigating of physical phenomena. 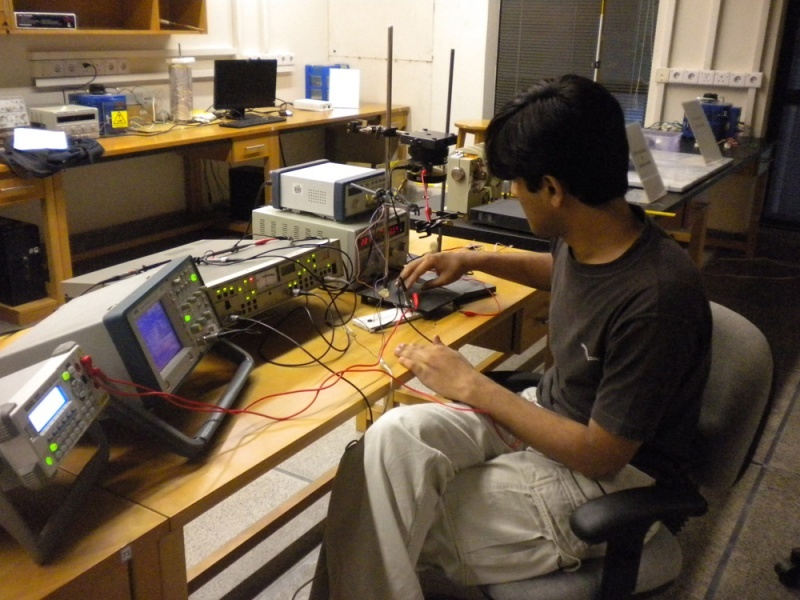 The projects can be supervised on premises of LUMS as well as other institutions. 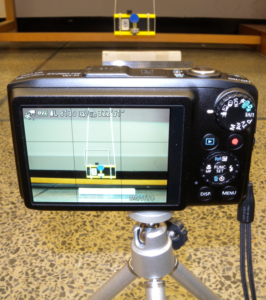 (b) using a smartphone’s built-in inertial motion sensors to acquire data. 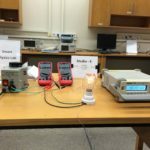 frequency and time measurement devices etc. 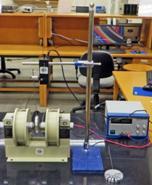 Participants will also be taught techniques in producing precise currents and voltages and measurements thereof. We propose the initiation of periodic day-long teacher training workshop on the preparation and inclusion of practical demonstrations inside the classroom. 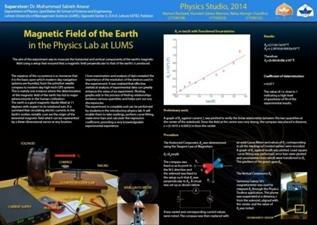 Currently, the Physlab is constantly developing novel, interesting and exciting demonstrations to be used by physics teachers at the LUMS SSE, other universities in Pakistan as well as for schools and colleges. Given below is a non-exhaustive list of classroom demonstrations that will be directly incorporated into the CEPE. Click here to see the list of our classroom demonstrations. We propose the holding of a regular yearly day-long meeting on Physics Entrepreneurship which will be with the collaboration of the Suleman Dawood School of Business and LUMS Centre for Entrepreneurship. 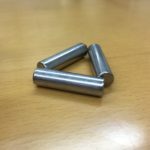 The goal is the training of the participants of business practices and presentation of case studies in physics investigations going commercial as well as examples of academia-industry linkages. 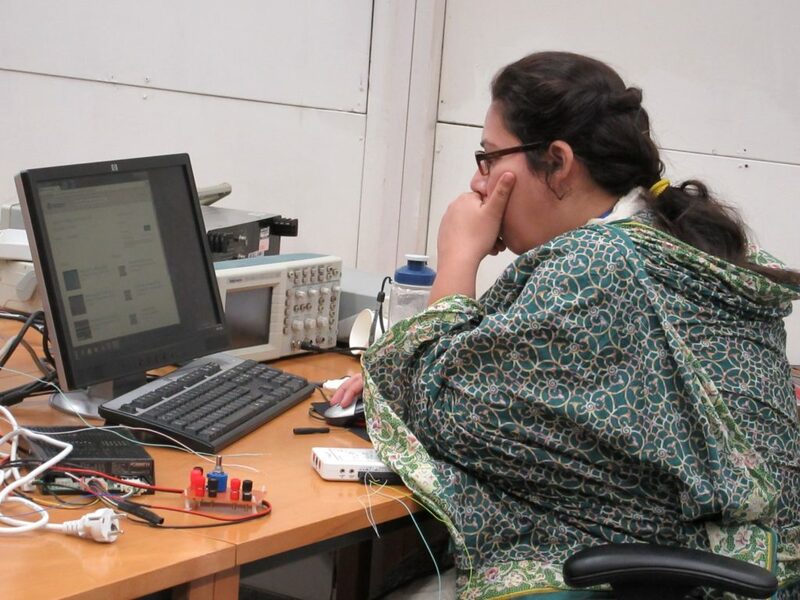 This initiative builds upon Physlab’s successes in sharing its expertise through technology transfer and associated teacher training for various institutes inside Pakistan. 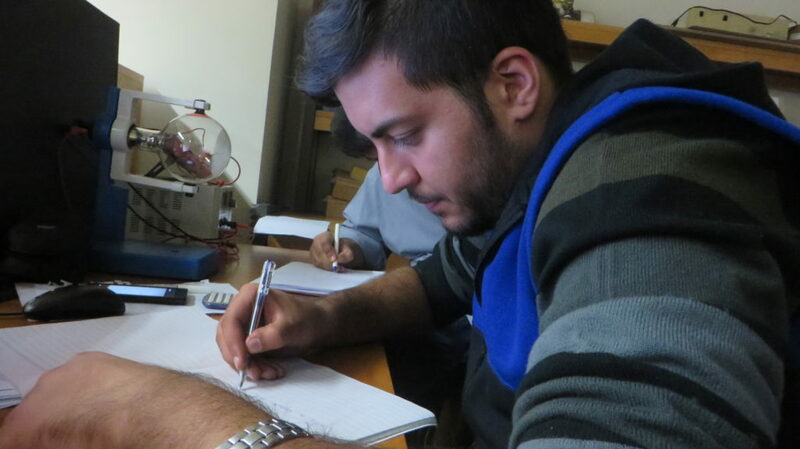 The CEPE is planning the development of new laboratories with the association of the Abdus Salam ICTP. These laboratories will be a definite first in the country and the region. 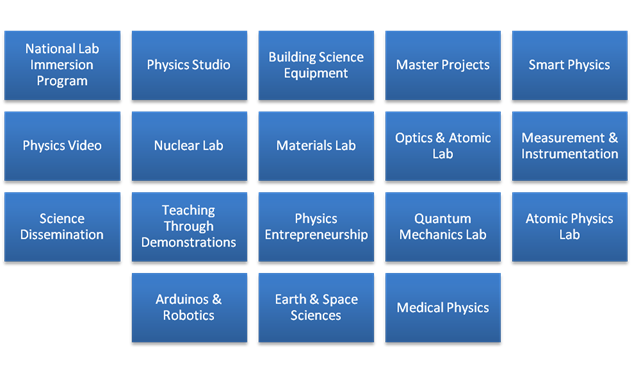 These include dedicated laboratories on the (a) demonstration of quantum mechanics using heralded single photon experiments, (b) earth and space science, (c) medical physics and (d) physics with Arduinos. 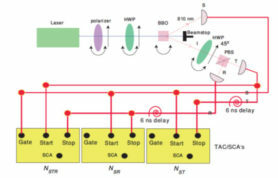 As we enter the quantum age, manifested through quantum information theory or quantum effects in electronic, spintronic and photonic devices, experimental quantum mechanics will become an integral part of physics instruction in the years to come. However, currently only a few Universities worldwide cover these experiments in their curriculum. 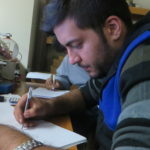 Under the CEPE-ICTP partnership, we plan to design of series of experiments, basic through advanced, where students will investigate different aspects of the quantum nature of light (i.e. 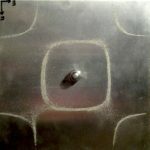 the existence of photons), entanglement, teleportation, quantum erasure, photon interferometery and quantum computation. 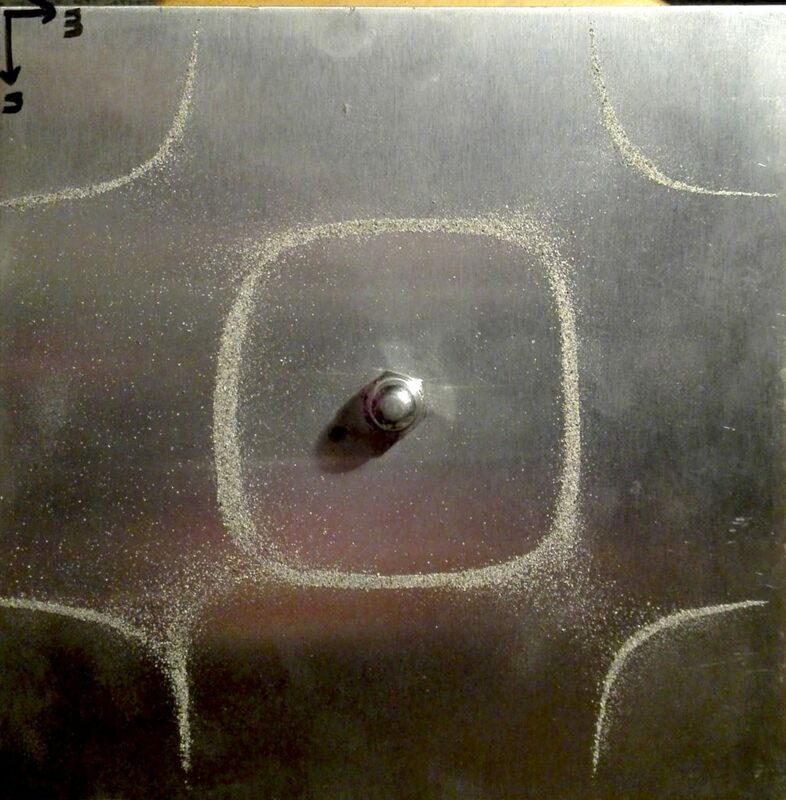 The basic idea is to generate an entangled pair of photons (from a laser) incident on a down-conversion crystal. 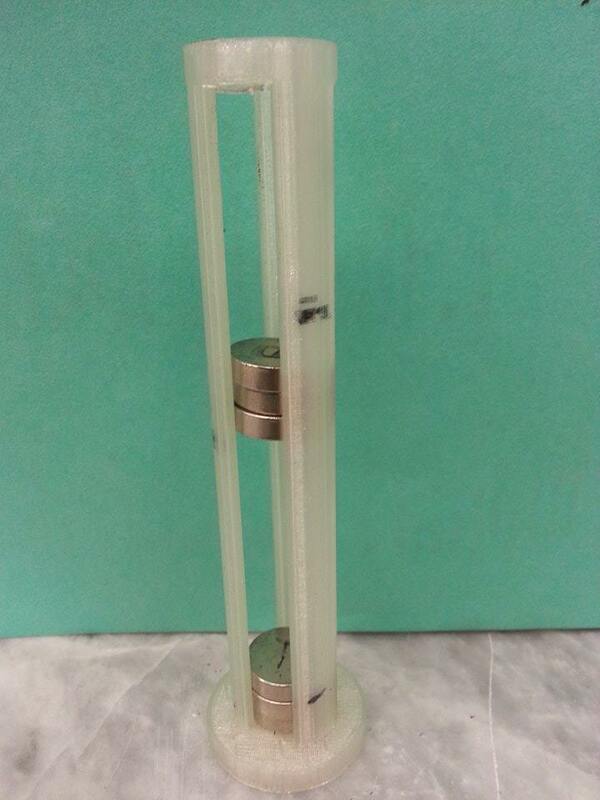 The laser must be a high power laser to compensate for the extremely low down conversion efficiency of the crystal. 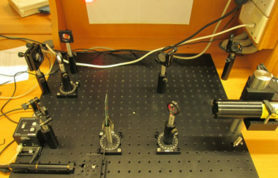 In such cases, another low-power laser is required for alignment purposes. The photons will then be detected using single photon avalanche photodiodes and coincidence electronics. 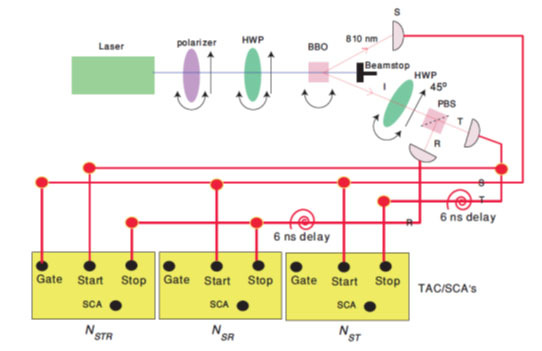 The interference and quantum computing experiment requires the use of beam splitters. 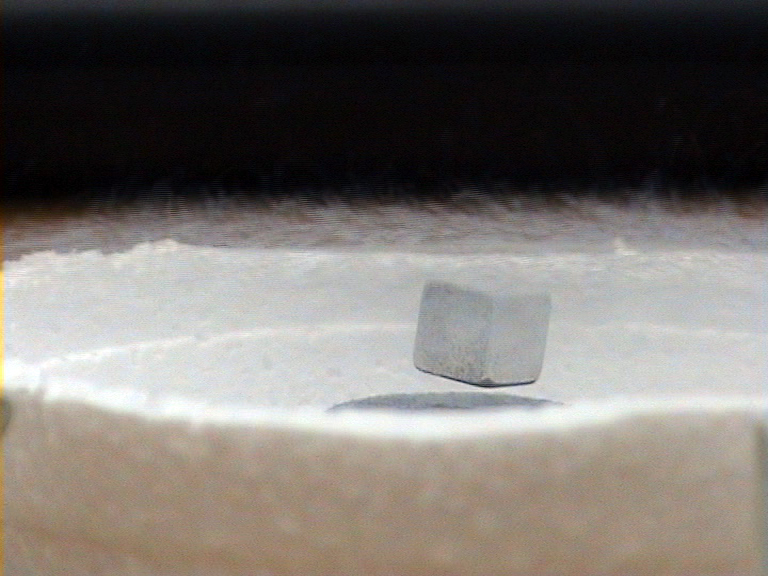 The wave plates interconvert between linear and circular polarizations, generating superposition of quantum states. Astronomy is arguably the most ancient science, with the oldest records of careful astronomical observations dating back to around 5000 years ago in Mesopotamia. The science is likely to be much older as the Mesopotamian civilizations are around 10000 years old. It is also the first science that taught us how to develop theories and how to test them. It is what we can call a “vivid science” – foundationally clear and robust, within everyone’s access and aesthetically pleasing. It brings in that precious element of patient observation, otherwise lacking, most of the time, as an explicit element in almost all of the controlled experiments. Then, of course, there are astrophysics and cosmology – two of the most important and advanced branches of science and at the heart of our understanding of nature. Most places have not as yet started experiments in these fields in their standard curriculum. But as experimental opportunities in particle physics to test new theories dry up, the community is looking towards cosmology and as it takes the centre stage, more and more institutions will include experimental cosmology in their curriculum. The earth sciences have a special connection with the space sciences. If one wanted to know the structure of Venus, they should look no further than under their own feet. Also, life like ours can only evolve on terrestrial planets and the earth is a very fine example. In the last few decades, the earth sciences have acquired a new importance with the mind boggling increase in pollution, which according to many has already triggered the sixth mass extinction event in the last 500 million years. This is so important that the students of physics should be given some taste of the earth sciences in any case.